Posted on March 25, 2011 by . 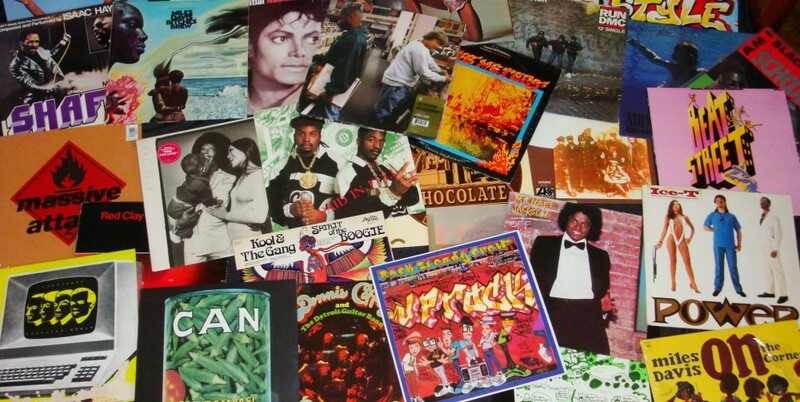 This is the grand opening of Hello Sailor and Crate Diggers combined. 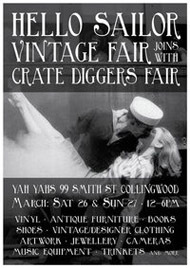 It will be a TWO DAY event set out over THREE LEVELS at Yah Yah’s on Sat 26th and Sun 27th MARCH, 12pm-6pm. Both days will showcase different stallholders with a variety of different stock. The event will have 25 stalls both days. Half of the stall holders will be selling vinyl and the other half vintage wares, music equipment and antique furniture. …Hello Sailor offers quality vintage items and recycled designer stock in good condition, at reasonable prices. This Event will specialise in 1950’s – 1980’s wares. Hello Sailor will be regularly held on the last weekend of every month at YAH YAH’s until further notice.